The axes of the chart are contained in two objects of type AxisGroup. The two collections can be accessed by the PrimaryAxes and SecondaryAxes properties of the DocumentChart object. Each of the collections contains two axes, contained in the CategoryAxis and ValueAxis properties. The PrimaryAxes property is populated on creation when the constructor of FloatingChartShape or the AddChart() methods of the ShapeCollection are used and can be replaced or edited as desired. If the SeriesGroup object implements the ISupportAxes interface, it can indicate whether it is associated with the Primary or Secondary couple of axes. 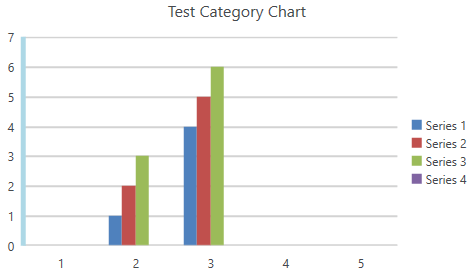 For example, the bar and line chart groups implement the interface, while the pie group does not. The ISupportAxes interface defines one property: AxisGroupName, of type AxisGroupName. The AxisGroupName enum has two members: Primary and Secondary. Refer to the scenario from Figure 1. 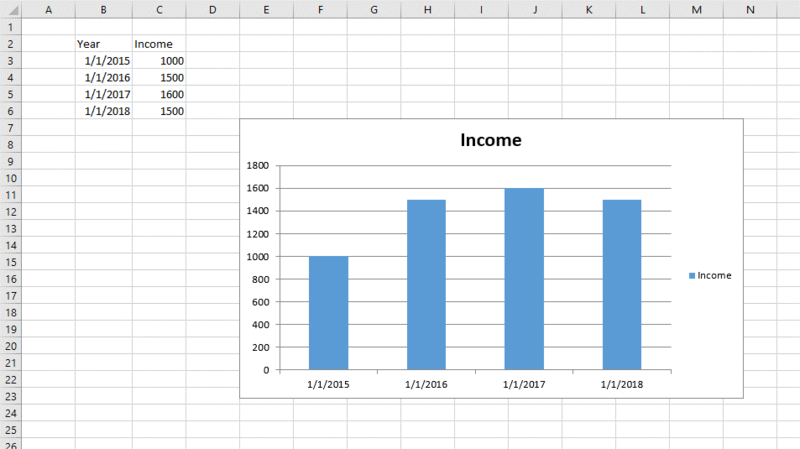 The chart shown there has two axes: a date (horizontal, category) axis and a value (vertical, value) axis. The respective objects can be found in the PrimaryAxes property of the chart. The BarSeriesGroup object AxisGroupName property has value AxisGroupName.Primary. The properties of the axes are listed in Example 1. RadSpreadProcessing allows you to replace the axis of a chart with a new object. This is achieved through the PrimaryAxes and SecondaryAxes properties of DocumentChart. You can customize the way the axes in the chart look like. The API of SpreadProcessing enables you to change the fill and width of the outline of an axis and its major gridlines.